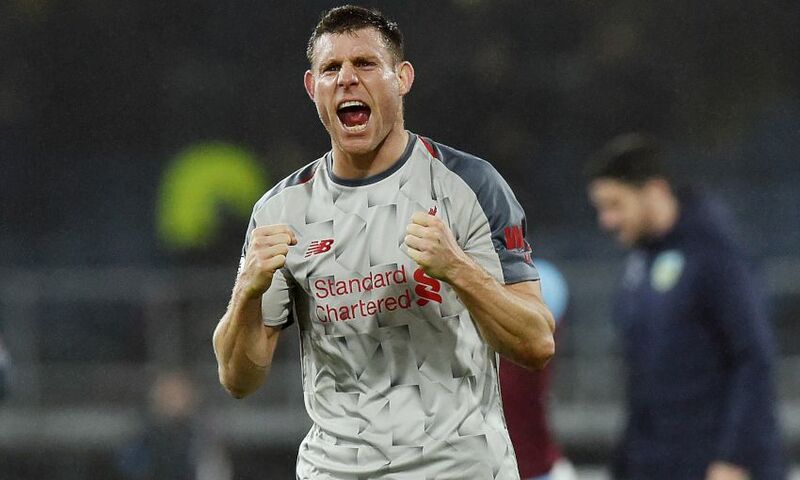 James Milner views Wednesday’s come-from-behind victory over Burnley as further proof of Liverpool’s mettle. The Reds went a goal down early in the second half of a gritty contest at Turf Moor, but were back on level terms just eight minutes later courtesy of Milner’s precise shot from the edge of the area. Roberto Firmino, who started the match on the bench with Jürgen Klopp making seven changes to his starting line-up, quickly made it 2-1 from close range, before Xherdan Shaqiri finished off a rapid breakaway in injury time to seal a hard-earned three points. The win put Klopp’s side to back within two points of Premier League leaders Manchester City and means they have set a new club record for points amassed after 15 matches of a league season with 39. And Milner sees such results as evidence of Liverpool’s ‘big character’ as they pursue Pep Guardiola’s team. “For sure - if you want to be successful these are games you have to win,” the vice-captain told Liverpoolfc.com. “[It showed] Big character obviously with a lot of changes in the side and not starting too well in the first half. Losing Joe [Gomez] and having to reshuffle was obviously a big test and then going 1-0 down. Despite the Reds’ hugely impressive record of 12 wins and three draws from their 15 top-flight outings in 2018-19, Milner thinks there is still room for improvement. “It’s a good start. There’s a long way to go, though,” the vice-captain said. “We just want to keep churning out the wins and keep getting the results. It’s a good start, City keep winning as well but we know there is a long way to go so we’ve got to keep going and I think we can improve a lot as well, so that’s a pleasing thing. It’s not like we are flat out and getting these results, we can improve in areas all of the time which is pleasing. On whether the wholesale changes to the starting XI at Turf Moor led to Liverpool’s performance being slightly disjointed in the early stages, Milner continued: “I think so, but we know we should start better than what we did. “But when you are playing every three days... and we won at the weekend [so] it might have been tough to get going or to refocus.